If you are a senior 62 or older considering a reverse mortgage, a home appraisal by an FHA approved appraiser is required for every loan. Once your reverse mortgage lender has received your application, the lender will contact an FHA appraiser. The appraiser will then contact you to schedule a time that works for them to visit your home. 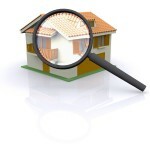 During the inspection, the appraiser will walk through your home with you. It is not uncommon for the appraiser to take photographs of your home, primarily if there are specific features that may add to the value of the home or may be in need of repair. The appraiser will then begin to research various factors that will come into play, such as comparable home sales in your area. The appraiser will review public records, multiple listing services, tax assessor’s records, and any other resources available to determine factors that will influence the value of your home. After analyzing your home along with comparable home sales in your area, the appraiser will deliver the appraisal to be used with your loan request. The report will contain all the information about your home, the comparable home sales that the appraiser used, and any photographs of your home. Once the appraisal is completed your reverse mortgage lender will provide you with a copy of your report and update your reverse mortgage figures based on the appraised value. There are some simple things that you or your loved ones can do BEFORE the appraiser arrives that can affect your value and prevent repeated visits by the appraiser. Do you have any chipping or peeling paint inside or outside the home? Do you have any exposed electrical wires? Do you have any current or past water leaks that have not been treated? Do you have any decks or staircases without hand rails? Does your roof have any issues with leaking or dose it show excessive wear? If home repairs are required for a reverse mortgage, they can sometimes be completed after closing on the loan, using the proceeds from the reverse mortgage, thus eliminating the outgoing cost for seniors. Ask your reverse mortgage lender for more information about this option.